WOODS HOLE, MA—Saying such periodic events have vastly expanded the scientific community’s understanding of oceanic biodiversity, a study released this week by the Woods Hole Marine Biological Laboratory determined that a significant majority of new marine species are now discovered while cleaning oil spills. “After surveying thousands of scientific papers, our team determined that 68 percent of all aquatic birds, fish, marine reptiles, mollusks, and corals discovered over the past 50 years were first identified and cataloged after volunteers painstakingly cleaned the thick, heavy coating of crude oil from them using a toothbrush and noticed their markings and morphology were unlike anything on record,” said researcher Sandra Schultz, who confirmed that over 5,000 species previously unknown to science have been identified in the Gulf of Mexico alone since 2010. “In fact, the average trash bag that a cleanup worker uses to collect the sludge-coated remains of animals that wash ashore typically contains at least one entirely new subspecies of shorebird, sea turtle, or crustacean. 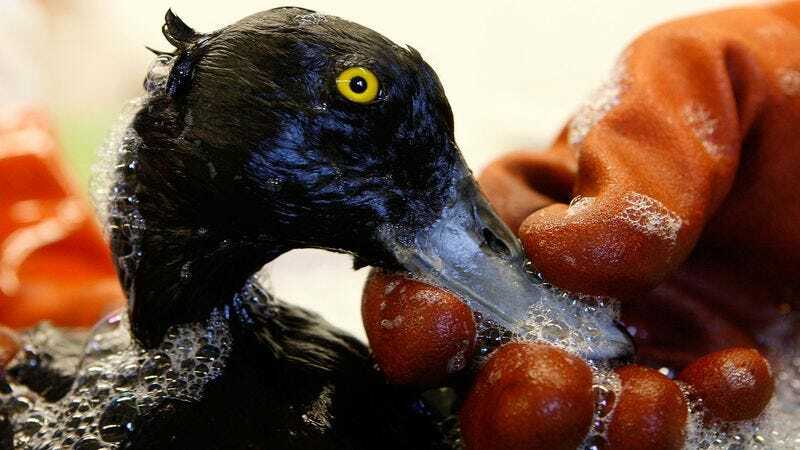 Once all the tar is fully removed from the animals’ skin, eyes, and lungs, they become prized specimens for study.” Schultz noted, however, that most of the new species that are discovered amid vast oil slicks are concurrently found to be extinct.